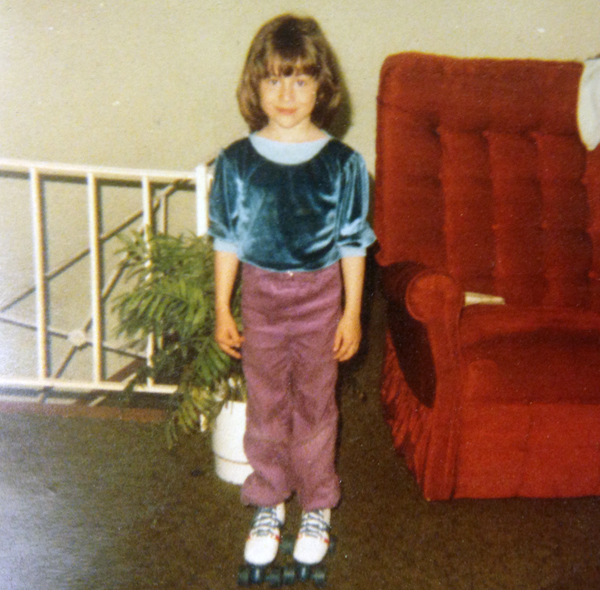 When I was home for Christmas, I went on a hunt for photos I knew my mom had of me in my roller skates. It’s always fun finding evidence that I’ve had an obsession with skates for most of my life. 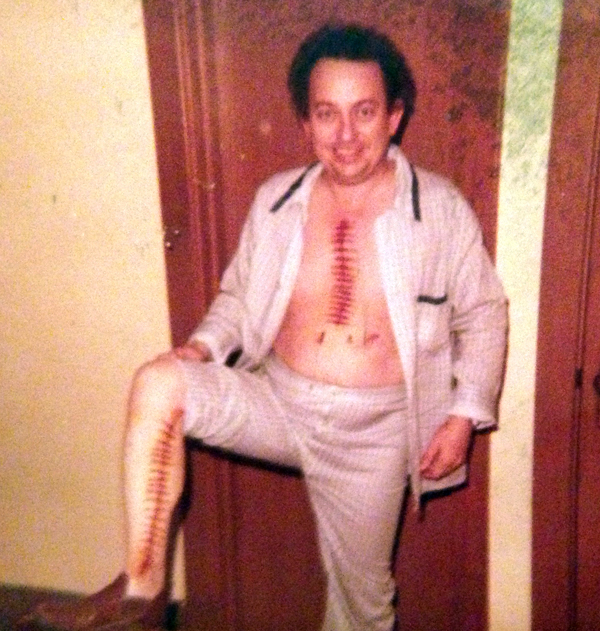 This is a photo of my dad immediately after his first open heart surgery. I was six years old. He was 38. Truthfully, this is the only way I remember seeing him — with scars down his chest and leg that were a constant reminder of his poor genetics. This is why I run. This is why I am a vegetarian. This is why I push myself to stay healthy. Because I don’t want this to be me. I brought the photo home to be a constant reminder. It’s what I’ll look at when I don’t feel like going for a 6 mile run, when I’m feeling lazy, when I’m craving junk food. In case you’re wondering, I also found the evidence that proves my parents are to blame for my other obsessions, too. Running, eating, and roller derby. Mom and Dad were absolutely the catalysts behind my obsessive behavior. Good lord, I miss the ’70s. Hmmm, let’s see what sort of new blog entry Mel–OH DEAR LORD!!!!! you totally need to bring back velour boat tops… totally. I’m trying. Somehow the trend just isn’t picking up!